Jen Angers Daerendinger didn’t need to worry about bubble wrap or loading trucks when she moved her art gallery across the country. She simply carried her laptop onto the plane when she left Vancouver and instantly set up shop online when she arrived in Sarnia. “I had a physical space in Vancouver for my gallery but the intent was always to roam. Thus the name,” she says of ROAM Gallery. From the outset, Angers Daerendinger focused heavily on the web version of her art gallery when she opened in 2013. Now, after 35 years away, she’s returned to her hometown and is running her gallery primarily online, augmented by pop-up shows and workshops. The first pop-up is next week. Angers Daerendinger jumped into the art business after assisting with a charity event in 2013 that included a silent art auction. The auction pieces were displayed in a gallery space she took a shine to and continued to lease once the event was over. Selling is her forte and the art world had huge appeal, so bringing the two together professionally came easily, said Angers Daerendinger. “I’ve always worked in high-end retail,” she explains. Years ago, after graduating from Northern Collegiate, she moved to Toronto to work for Grafton Fraser. Later, her career path led to jobs with Chanel and Tiffany & Co.
Art was a draw as well, whether dabbling with acrylics or admiring the work of more serious artists and forming friendships in the arts community. “I am the connector if someone wants something or needs help selling something, people have always come to me,” she said. Having a virtual gallery means connecting with artists and buyers anywhere. The ROAM Gallery website currently highlights the work of more than 100 painters, photographers, jewelry makers, and other artisans. 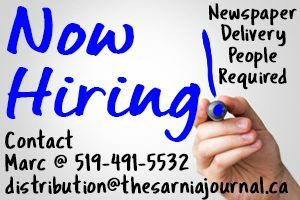 Most are based in Vancouver but Angers Daerendinger intends to add “up and coming” artists from southwestern Ontario. “I want to help struggling artists become established. Creative people are bad sales people,” she said, adding her site has attracted 35,000 visitors. Each artist featured on ROAM Gallery pays $30 a year to post a bio and a number of pieces for sale. The gallery takes a 30% commission. ROAM Gallery also hosts virtual art shows and the occasional pop-up. 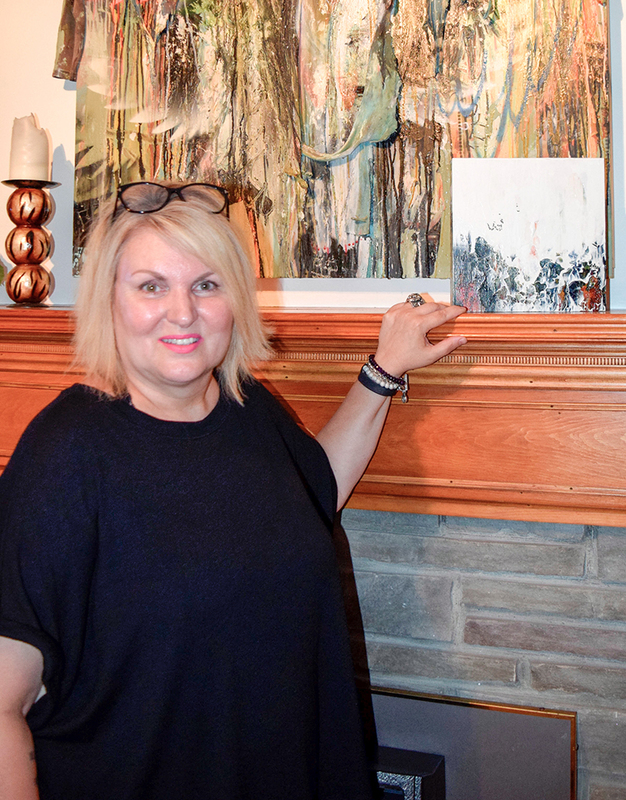 The first show in Sarnia will feature Vancouver artist Janine Jones on Aug. 16 at Café Mexico, 410 Front St. North, from 6 p.m. to 9 p.m.
Angers Daerendinger knows Jones from her years in Vancouver and suggested a show in Sarnia knowing Jones has family here. Jones is also holding workshops Aug. 17 and 18. Participants pay $50 to learn acrylic pouring techniques and leave with their own artwork. To register for a workshop, or view the virtual gallery, visit RoamGallery.com, see RoamGallery on Facebook, call 604-970-4785 or email jen@roamgallery.com.